For many adults and children, our shift to a more urbanized economy has resulted in a lack of access to healthy food. In areas with limited resources, this can also mean living without access to nature. Community gardens help solve these issues and provide access to so much more. 1. Access to healthy, organic food and flowers for low-to moderate income people and people who don't have a space to grow food at home. 2. Access to classes and seminars on planting, harvesting and storage techniques. 3. Access to gardening events like seed swaps and plant sales. 4. 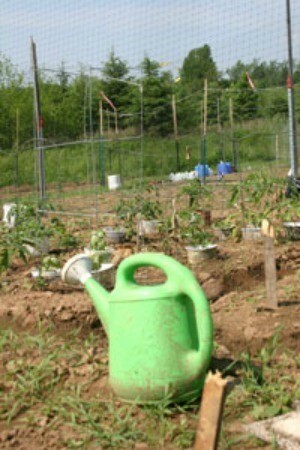 Free or low-cost use of tools, soil amendments, compost and other gardening resources. 5. A chance to meet others in your community. 6. The opportunity to connect with nature. 7. Tools to teach children and others in the community about healthy nutrition and the environment. 8. A chance to give back to the community through beautification and food. 9. Help filter air pollutants in urban environments. 10. Provide urban green space for people, animals and birds. If you're interested in becoming a member of an existing community garden or starting one of your own, here are a few basics on how they work. Conditions for membership vary from garden to garden. You are likely to have to be a resident of the community where the garden is located, and in large cities with multiple gardens, you may need to reside in a nearby neighborhood. Most are non-profit organizations, so you will be expected to follow a set of rules and regulations as set forth by their bylaws. Some gardens charge a small fee of $5-$50, while others rent or lease plots to members by the month. Fees are often on a sliding scale based on income and go toward expenses like gate keys, garden tools, soil amendments, and funding for garden related classes and special events. Members include individuals, families and groups. Gardens can contain several hundred plots. Each plot may be as small as 4 x 8 or as large as 1 acre. Some gardens assign plots according to the size of a family or group. Plots are usually granted on a first-come first-serve basis, although gardeners with special needs-handicap accessible, for example, may take priority over others. At times, the popularity of a garden can result in a waiting list where the next in line is notified when a tenant gives up his or her plot. 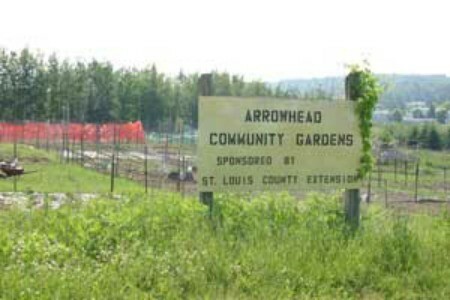 Adherence to basic rules keeps a community garden enjoyable for all of its members. You can usually bring human visitors, but you can seldom bring your pets. You will be expected to keep your plot clean and reasonably free from weeds, and some gardens will ask you to commit to fall and spring garden clean-ups or other cooperative maintenance measures. You won't be allowed to plant your plot in such a way that it interferes with other member's plot (by shading it, etc. 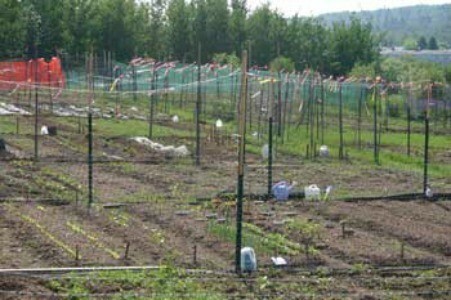 ), and you will be expected to harvest plants only from your designated area. Gardens usually require members to make reasonable progress toward 'producing' or give up their plot to another member. Community gardens are a great solution for people who don't have access to space for a garden. They encourage sustainability and self-reliance, produce high-quality nutritious food, help preserve economic and natural resources and create opportunities for neighborhood and community development.